We are specialists for airport taxis from or to anywhere in Sheffield including Manchester, Liverpool, Stansted, Heathrow, Gatwick, East Midlands, Luton, Birmingham, Doncaster, Leeds and Humberside. What better way of leaving the country than having the comfort of a Mercedes or Audi exclusive for you only to pick you up at a pre determined time and take you and your luggage safely to the airport. Then have a driver waiting at arrivals on your return from holiday or an exhausting business trip ready to take you to your destination. No queuing for taxis, no struggling with the family and luggage. No waiting for airport buses. We do not provide shared transfer services so you will have the vehicle exclusively. We will meet you at one airport information desk with a sign with your name on so you know who we are and safely transfer you to another airport or home in comfort and in good time. We can not only get you to your airport check in on time but we can meet you at the airport information area with a name sign upon your return and take you to your return destination. Let us help you with your luggage both from your departure address and your destination of airport, seaport, rail station or hotel. Our polite, courteous drivers are always happy to help. All U.K railway stations to or from any where in Sheffield straight to your rail stations entrance in comfort and complete safety. We cover all U.K seaports / harbors so we can taxi you to any of them from or to anywhere in Sheffield. 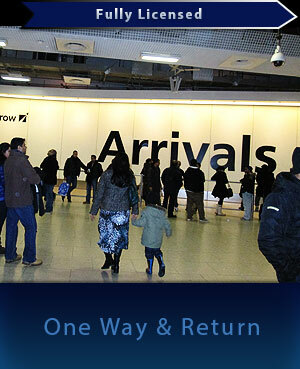 Right from your home or hotel we will get you to your seaport ready to depart the U.K, on time and in comfort. The U.K has many hotels. Let one of our drivers taxi you to your hotel. They are all very helpful and always know exactly where you are going. Need Airport Taxis In Sheffield? For the most competitively priced airport taxis in Sheffield to take you to or from a U.K airport from Sheffield get in touch. airport taxis Sheffield To Manchester, Manchester airport taxi, Seaport Railway Hotel Cabs, Sheffield To Heathrow Airport Taxis, AIRPORT TAXIS SHEFFIELD MANCHESTER.